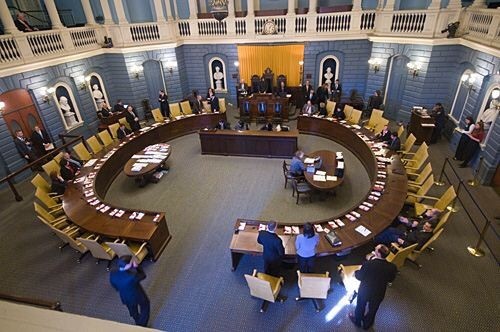 (BOSTON) – Senator Sal DiDomenico (D-Everett) and his colleagues in the Massachusetts Legislature have passed a measure to ensure that men and women receive equitable compensation for comparable work. The bill prohibits discrimination on the basis of gender in the payment of wages for comparable work unless the variation is based upon a mitigating factor including seniority; a system that measures earnings by quantity or quality of production, sales, or revenue; education, training or experience. Notably, the bill would prevent employers from requesting salary history in hiring, a measure designed to end the self-perpetuating cycle of wage disparity. Massachusetts would be the first state in the nation to adopt such a provision. However, prospective employees would not be barred from voluntarily disclosing their past salaries. The legislation also prohibits employers from reducing salaries in order to comply with law and from preventing employees from talking about their salaries. The legislation will take effect of July 1, 2018. It will now go to the Governor for his consideration.